The champion of the 2019 edition of March Madness was the University of Virginia (photo credit: Karen Blaha). The University of Virginia has released its Regular Decision notifications for the Class of 2023. 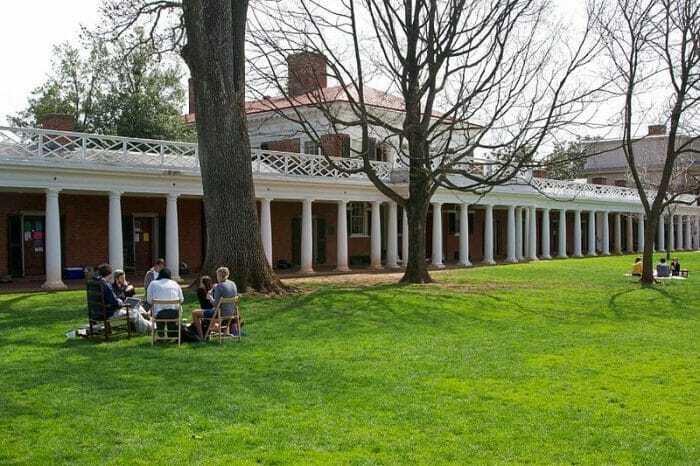 In all, between the Early Action and Regular Decision cycles, 40,815 students applied for admission to the university Thomas Jefferson founded in 1819. As our readers may remember, 25,126 of these students applied Early Action to UVA this year so if you’re wondering if more students apply Early Action as compared to Regular Decision, the answer is a definitive yes! The 40,815 applicants to the Class of 2023 marked an increase of 10% over the equivalent figure for the Class of 2022. Among all applicants, 9,725 earned the right to be Cavaliers, marking an admit rate of 24% (down 2.4% from last year). The Early Action admit rate for the Class of 2023 stood at 26% (down from 27.7% for the Class of 2022). Congratulations to all students who earned admission to the university that is this year’s National Champion in men’s college basketball. After bowing out as the first #1-seed to lose to a #16-seed in the 2018 NCAA Tournament, UVA marched to a title in 2019 in electrifying fashion. And our crystal ball hereby predicts the university will receive more applications than ever before during the 2019-2020 admissions cycle as a result of its shining moment in March Madness. Go Cavaliers!